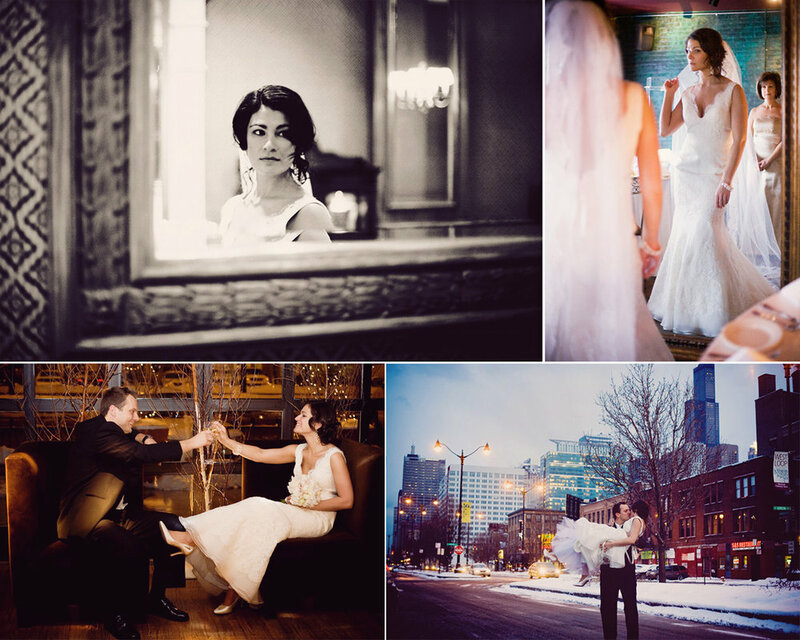 Creativo is Giorgio Ventola and Sarah Toulouse, an experienced team offering creative wedding services including photography, albums, print services, elopements, event planning, and even have a cool loft venue for small weddings. We specialize in providing premium quality custom work with a creative editorial style. Our wedding photography coverage approach is a balanced mix of photojournalism, natural candids, and creative portraiture, which is tailored to your aesthetic preferences and specific wedding plans. The variety of wedding pictures you receive creates a compelling and comprehensive visual narrative that reflects your personalities, style, special moments, and most importantly -- the joy and fun of your wedding day. At our studio and venue, Creativo Loft, we produce and coordinate small weddings and private events. 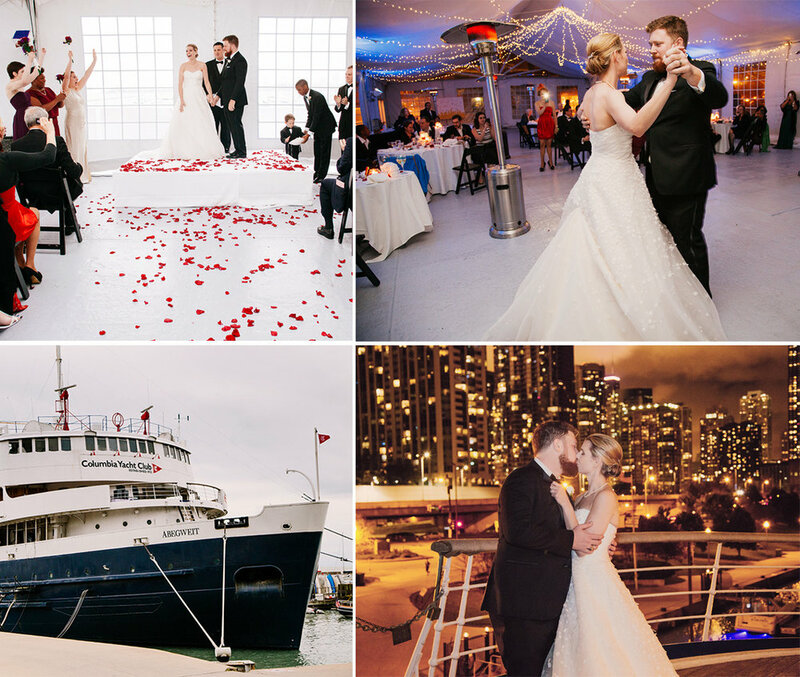 With over two decades of wedding industry experience, we also offer consultations and for couples planning weddings of any size from elopements to large weddings in the Chicago area, as well as and regional and international destination weddings. If you ultimately book us for any of our services, the consultation fees are applied to your package, and coordination services are included in our venue package fees. For the couples that choose us as a good match for their needs and book our service, we are always happy to assist throughout the planning process and help your wedding day run smoothly. Our high standards ensure that you will receive prompt, courteous and professional communication, and attentiveness to your preferences and needs. Whether you decide to book our services, or go in a different direction, at the very least we can significantly reduce your vendor search time by weeks or months with referrals to our trusted and experienced colleagues, and we will provide you with a solid foundational understanding about wedding planning essentials. Our backgrounds include university degrees in photography / film, communication arts and graphic design. We also have professional experience beyond weddings including assignments for advertising, corporate, and media clients. Professional affiliations include Professional Photographers of America (PPA), American Photographic Artists (APA), Canon Professional Gold Level, and West Town Chamber of Commerce. With Creativo you can be confident that our team has a seasoned command of our professional skills and talent, and that our primary goal is to exceed your expectations for wedding services. "It is a big accomplishment to be married over 20 years! We had the best photographer Giorgio Ventola capture our wedding at the beautiful University of Chicago Chapel in Hyde Park. He captured the windy Chicago day in style and was just what I wanted! Thanks Giorgio!" "My husband and I LOVED LOVED LOVED Giorgio and Sarah! They were amazing to work with and so talented! Giorgio took GORGEOUS and CREATIVE shots. Also, Sarah was very helpful in assisting me with creating a schedule, as well as keeping it! It was SO relieving not to have to think on my wedding day because they did all the thinking for us!" "Immediately upon getting engaged I booked photography since our wedding was on a holiday weekend, and I didn't want to take any chances that we couldn't reserve the best. We met with a few, but felt a connection with Sarah and Giorgio. We felt that these are people who follow you around all day capturing lifetime memories .... so... we'd better like them. We weren't disappointed. The day of the wedding I was a bit stressed and hot (it was unusually hot) and both Giorgio and Sarah worked as a team to make the shots quick and painless. We were very excited to see the finished product and couldn't believe our eyes! There were soooo many photos to choose from. Their diverse portfolio originally attracted us, and I didn't want a standard album. We received anything but standard. We absolutely love it! Our album is AMAZING! We have friends who want to see it every time they visit. People keep telling us they've never seen an album like ours and how beautiful it is. When the process was all over we were sad because we felt we were saying goodbye to family. Our experience was fantastic and we would highly recommend Creativo." 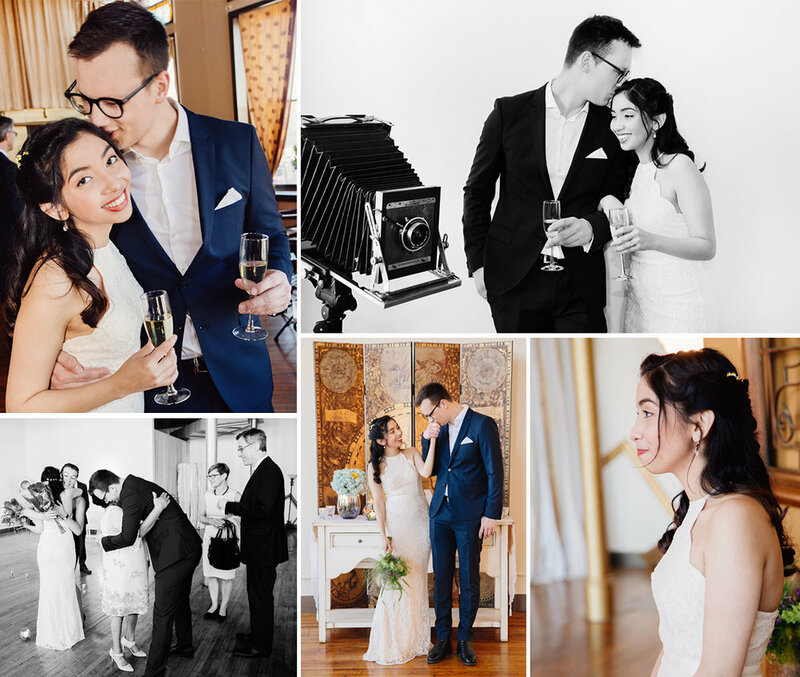 "When my wife and I were looking for a wedding photographer, we wanted someone a little different - and not the usual photographer who does all the "standard' poses and shots. Giorgio and Sarah understood exactly what we wanted, and our pictures turned out far beyond what we had expected or envisioned. Even though we liked all the vendors we hired for the wedding, none were as easy to work with as Creativo. My wife was the least stressed when it came to them. We felt we could depend on them to deliver and they did!" "Creativo was simply fantastic to work with. My husband and I are both a bit shy in public, but Giorgio was able to help break us out of our shells. He captured our engagement portraits and wedding day beautifully. Within 24 hours of our wedding we were provided a sneak peek gallery, which was absolutely fantastic to be able to share with our family and friends so quickly! We also hosted our small wedding at their studio venue Creativo Loft, where Sarah coordinated an all-inclusive package. Our guests complimented us on every aspect of our wedding. We crafted fun comic book paper flowers and decorations, but 80% of our wedding was because of Sarah and Giorgio." "Giorgio did an outstanding job with our wedding photos. He took us to two great city locations for our outdoor portraits. It was a cold, windy day but he managed to keep everyone engaged and smiling. We got numerous compliments from our guests about how much fun he was, and also their venue Creativo Loft. Our plans changed significantly from when we first started, but Sarah never skipped a beat. She was always very open to our changes and more than willing to assist in making our vision become a reality. She pointed us in the direction of several other outstanding vendors and did a fantastic job coordinating with them. Sarah did all of the work to bring them all together, and event was flawless!" "The second we met with them, we knew Giorgio and Sarah were the best choice for our wedding. Giorgio has such a great eye and can make anyone feel comfortable in front of the camera. We all had a blast taking pictures with them and they really helped make what could have been a stressful situation so much fun! Not only is this duo professional, they are responsive and reasonably priced given the high quality work they produce." On a wedding anniversary social media post, nearly a decade after her wedding, bride commented on one of her favorite wedding photos ... "I just love this photo. Now that I'm getting into photography I see the colors, light, composition and of course, love. Thanks Sarah and Giorgio!" "My husband and I were out of town until the day before the wedding, so it would not be possible to plan our wedding without Sarah. She did a great job organizing everything. Giorgio is a talented photographer who managed to wrangle our guests. We had an amazing time!" "Sarah and Giorgio, thank you so much for the amazing job you both did in capturing such a special day to us. The photos are amazing and we've gotten such wonderful feedback about them. We will recommend Creativo in a heartbeat."